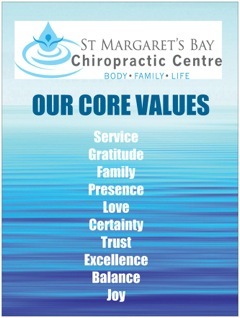 At the St. Margaret’s Bay Chiropractic Centre, we are dedicated to improving the health and wellness of our community through excellence in chiropractic care. It is our belief that health is more than just the absence of symptoms but rather total wellness. For you, becoming as healthy as you can be should be a continuous journey and not a destination. That’s why as chiropractors, we feel it is our responsibility to educate our community about wellness and chiropractic, and to aid in creating a healthier world – one person at a time, one moment at a time. Chiropractic is an essential piece in your health care puzzle. By maximizing the potential of your nervous system, muscles, and joints, your body is able to function at its greatest level with improved health and quality of life for you. Read more in our “Health Library” by clicking here. Dr. Wanda Lee MacPhee and Dr. Andrew Kleinknecht will listen to you carefully to understand your needs. Then, after a thorough examination, will explain the scientific basis of your condition, and if chiropractic care is indicated, will discuss the seriousness of your case, how long it will take, and what cost is involve. Isn’t that what a real doctor/patient relationship should be? Chiropractic is safe and effective health care for the whole family and is covered through most extended health plans. 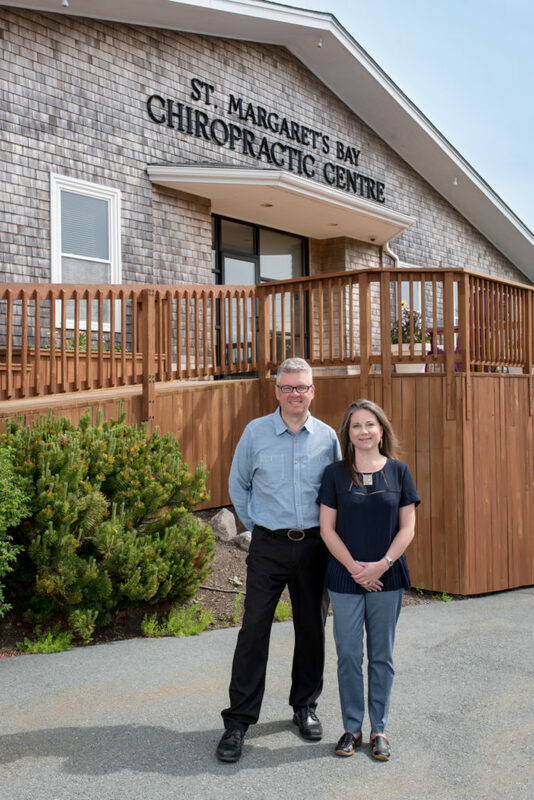 The St. Margaret’s Bay Chiropractic Centre is open Monday through Friday and new patients can usually be accommodated with same or next day services. State-of-the-art diagnostics with thermography and surface EMG testing. Nutritional supplements including our custom-created Dr. Wanda’s Wellness brand. Complimentary spinal health care workshops twice a month. Massage therapy is also available 6 days per week! For more information about chiropractic care and how you can get well and stay well call 902-826-1088 to make an appointment or come to one of our events. Our Mission Statement : To support healthy living of families in our community by enhancing the natural healing power of the body.